Where can we go and be safe? Safe from hatred and prejudice, from oppressive ideologies and violence? Is the cross of Christ not a white flag, a symbol of ultimate sacrifice and a place of surrender? Does it not remind us that the war for our souls is over and won, that we have the victory in Christ (First Corinthians 15.57)? And what do we do when persons do not view us as new creatures in Christ, but kill us because of the historical social coloring of skin (Second Corinthians 5.17)? If our Bibles don’t protect us from bullets, if bowed heads are viewed as better targets, then what are we to make of our faith and its practice? 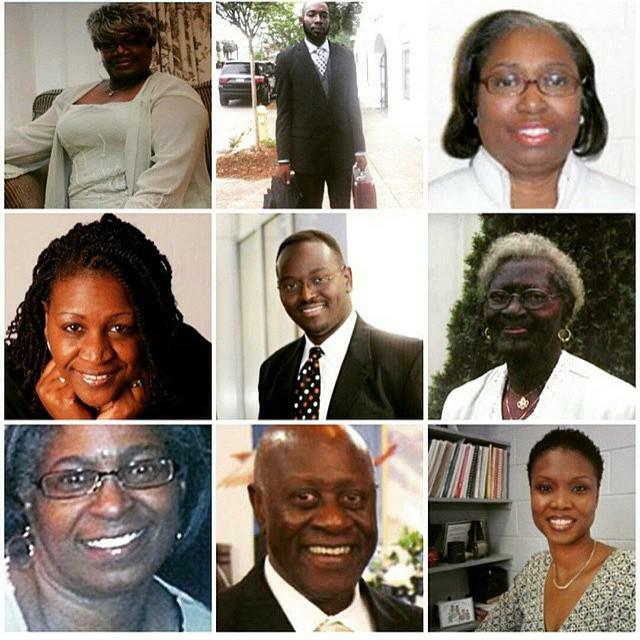 Like so many others, I am left with nothing but questions after the disturbing murder of nine souls at Emanuel AME Church in Charleston, South Carolina last Wednesday. The name of the church is a reminder that God is with us and yet, when someone can enter a church and take faithful lives in an effort to start a “race war,” it causes me to question, to doubt if God is… with us. Yesterday, South Carolina governor Nikki Haley did not hide behind the Confederate flag but said it has “no place” on statehouse grounds. Charleston, South Carolina is being connected to Birmingham, Alabama of 1963. The nine lives lost while gathering for prayer and Bible study are connected to the deaths of four little girls who came to attend Sunday school at Sixteenth Street Baptist Church. 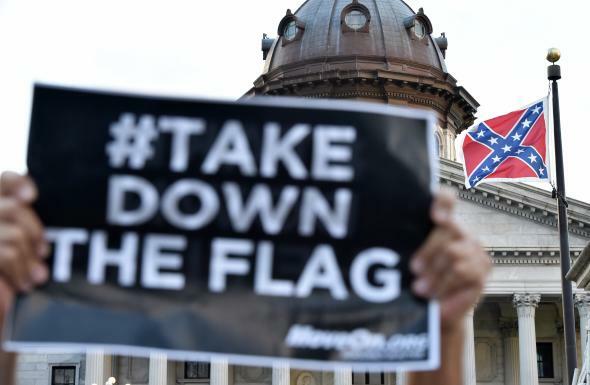 And while persons are discussing why 21 year old confessed shooter Dylann Roof came and political verbal shoving matches continue, another connection is being made to the Confederate flag and its tie to American slavery. Some say that its meaning is complicated while others argue that it is clear cut. The Confederate States of America, as they would come to be known, seceded from the Union shortly after Abraham Lincoln’s was elected president. As we all know, he would go on to abolish the enslavement and forced employment of African Americans. We’ve had hundreds of years dissect and discuss this subject. Whether it is the original flag or not, the original meaning remains intact. If it offends some, it offends all. Consequently, I agree with those who call for its removal, which now includes Governor Nikki Haley. Take down the flag. 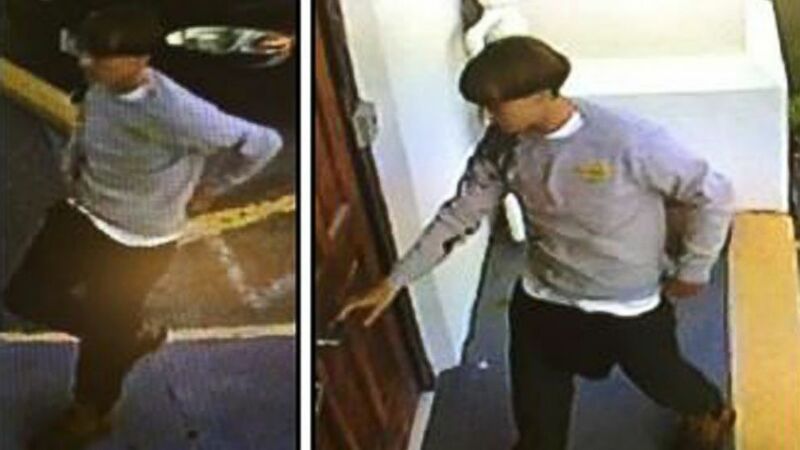 This morning, I awake with the same sick feeling in my stomach, to the same troubling reality: Nine praying people, nine believing people, nine shining lights of Christ blown out… “blown away” they say by a 21 year old named Dylann Roof. They sat at a table in the presence of an enemy who poured a cup of violence (Psalm 23.5). He had hoped to start a race war. He had come to pick a fight with those who are called to turn the other cheek (Matthew 5.39).